Metallics are once again making a comeback, and the results have been nothing but flashy. If you’re a true follower of fashion, then you will be well aware that all the best labels like to keep on top and stay ahead with the upcoming seasons. 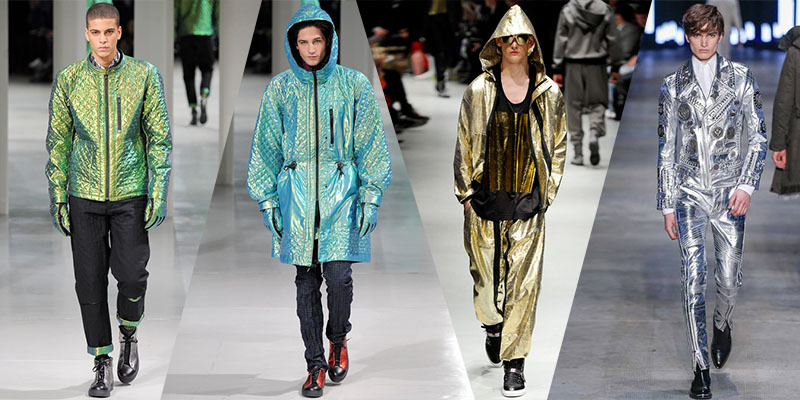 So while winter coats, gloves and scarves are about to hit the scene, many designers are already looking forward to what we can wear next, and the metallic trend stands testament to that notion. This trend is perfect for summer, especially when the sun is out and the heat is on. To quote Rihanna, you’ll be shining bright like a diamond…literally. That being said however, we do have somewhat of a love and hate relationship with metallic clothing. Some consider it over the top, others believe that it is the best fashion trend that is here to stay. While it might look terrific and certainly turn heads, it is easily something that can become overkill. 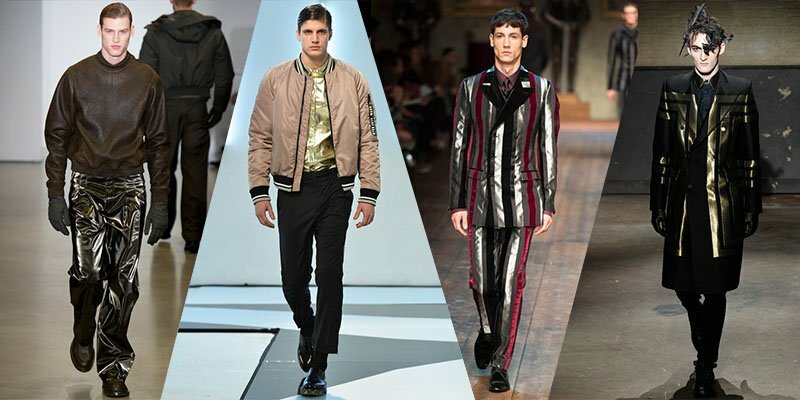 An easy way to ruin this look is by wearing metallic pants along with a metallic jacket or a coat, making you look like an astronaut gone wrong instead of a man with refined and sophisticated taste. Leave this look to the runways and make it classy, not trashy. Balance is the key to pulling off this unique look. For the fashion novices out there, we do not recommend tackling this trend just yet, instead seamlessly position yourself into the trend with accessories. Examples of this could be metallic shoes or even metallic belts. Once you’re comfortable with that, then you can move onto the tops and bottoms. Overall, regardless of how you personally feel about the look, it is inevitable that with time, more and more designers will adopt this trend with open arms since not only does it add interesting pops of colour, it also provides a unique textural aspect to the apparel which perfectly complements those hot summer months.